Shi Yan floated in the void as he watched the battle of the six Incipient G.o.d Realm experts. He didn't want to join them. This battle was going to be recorded in the history of Agate Star Area. It wasn't something that warriors at his level could change. At this moment, he didn't have that competence. He remembered what that man told him: Try your best to conceal your ident.i.ty before you reached Incipient G.o.d Realm. The Dark Shadow Clan and the G.o.d Clan had a close relationship. c.o.c.ker could guess his ident.i.ty. So did Chief Bello and Kelda when they saw him using his powers. Seeing the G.o.d Clan chase after Benny through different star areas, he knew that the G.o.d Clan had never quit hunting the Bloodthirsty's bloodline. Shi Yan was the descendant of the Master of the Bloodthirsty's bloodline. Once his ident.i.ty was exposed, the G.o.d Clan would try to trap and destroy him at any cost. And it wasn't going to be exclusive to the Ascot family! Shi Yan knew that he didn't have the competence to resist them now. Staying hidden was vital at this moment. He had to conceal himself to avoid receiving the attack he could never imagine. 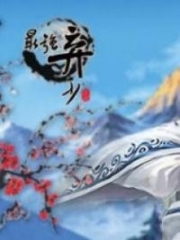 It has been one hundred years and Xia Xin Yan's good grasp of the general situation in fighting had surprised Shi Yan. Under her command, warriors of the Monster Clan, Demon Clan, Fighting League, and Potion and Tool Pavilion had attacked neatly. The four forces took turns to perform their eye-catching powers. Under the mad destructive attack of thousands of warriors, Kelda was helter-skelter. He couldn't threaten Blood Devil and Feng Yan anymore. Blood Devil and Feng Yan were free now. They just needed to ensure that Kelda couldn't attack Xia Xin Yan and the others. Then, they didn't need to worry about the situation anymore. Later on, Kelda's energy had been worn out ma.s.sively. He started to sweat. It indicated that even if he was at Second Sky of Incipient G.o.d Realm, he couldn't endure such continuous attacks. Shi Yan could be more relaxed. As advised by Shi Yan, Fei Lan, Leona, Ka Tuo, and Benny were also idle. They just stood and watched the peak battle of the six Incipient G.o.d Realm experts from a distance. Yu Shan was still refining the Departed Spirit Jellyfish with her precise heat control. Each of the blue flames was like the container of her soul. They danced swiftly like groups of animated spirits. They gathered and created magic as her mind flickered. Her flame was burning torrentially and hiding the magical Origin of earth and heaven, which matched the truth of flames in this world. Blood Devil urged his Life power Upanishad while Demon Blood was boiling in his body. Ten b.l.o.o.d.y shadows, which looked like Blood Devil, all had part of his powers. They were flying and blocking eight directions around Kelda, preventing him from escaping. Life power Upanishad was also something he needed to understand thoroughly. Blood Devil's magical deeds had opened a door for Shi Yan, which rose his enthusiasm. Chief Bello of the Dark Shadow Clan was an Incipient G.o.d Realm with s.p.a.ce power, which was extremely rare. While his thoughts changed, the s.p.a.ce around him shattered and cracked like broken gla.s.s, revealing fine s.p.a.ce slits. Those s.p.a.ce slits could draw away the attacking energy that had threatened his life. Bello's cognition of s.p.a.ce power had reached an unimaginable level. He could confine s.p.a.ce or tear it as easily as he pleased. Sometimes, he swayed and moved through s.p.a.ces. His application of s.p.a.ce power had reached the utmost exquisite level. 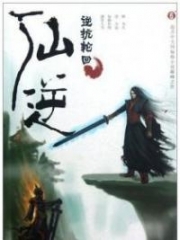 Shi Yan understood Fire, Life, and s.p.a.ce power Upanishad, but none of them had reached the level of Yu Shan, Blood Devil, and Bello. 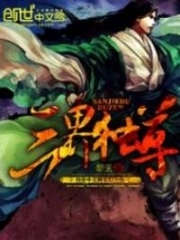 Observing the battle of the top warriors, especially the ones who had the same power Upanishad, it was the most magical and yet practical experience for the onlookers like Shi Yan. Of course, he wouldn't let this chance slip away. If he could harvest some knowledge from the battle of the six Incipient G.o.d Realm experts where they had used their profound powers, it would benefit him much more than taking in the Essence Qi of an Incipient G.o.d Realm expert. Shi Yan didn't join the battle. He just stood aside and watched the three familiar powers Upanishad that the three Incipient G.o.d Realm experts were using and changing marvelously. They could create countless changes, which reflect the most supernatural feature of the power Upanishad. Shi Yan was touched, sinking in the information uncontrollably. Finally, he knew how far Incipient G.o.d Realm was from his current realm. It was also the first time Shi Yan saw to what extreme degree the Fire, Life, and s.p.a.ce power Upanishad could change. It was an ingenious sublimation of the soul and realm. Gu Te and Bath of the Monster Clan were using their monster bodies to join hands and fight Bello. At Second Sky of Incipient G.o.d Realm, Bello had cultivated s.p.a.ce power Upanishad. However, in the battle with Gu Te and Bath, he couldn't gain the upper hand. Although Monster Clan didn't stress on cultivating the soul, their bodies' toughness was deemed the peak of this world. Their monster bodies were the toughest material that even s.p.a.ce blades couldn't cut through shortly. At most, they could only leave some cuts on the dragon body. At the same time, the dragon breath they released had troubled Bello a lot. His face became more grimaced. As Kelda was taken care of intensively, he became tired quickly. His aura was reduced ma.s.sively. In the beginning, Blood Devil stood still. Later on, he didn't use only his b.l.o.o.d.y shadows to attack the enemy anymore. His demon body sent out brutal energy fluctuations like that of an exploding star. His body sounded like several explosions had happened while his Blood Qi shot up into the sky. He had turned into a flow of abundant life energy and fused it with his Incipient Extent. Like a sea of life, his Incipient Extent swarmed over and covered Kelda. "You guys. Switch your intensive care to the other." Blood Devil's voice arose all of a sudden when the sea of life derived from his Incipient Extent had covered Kelda entirely. Those layers of life energy contained the magical power of Nature that even Feng Yan couldn't interfere with. 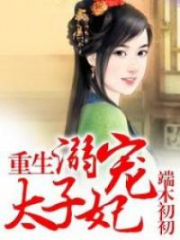 Xia Xin Yan smiled and nodded. She extended her hand and pointed, "We should appreciate the Chief of the Dark Shadow Clan more." Warriors of the Monster Clan, Demon Clan, Fighting League and Potion and Tool Pavilion followed her order. They changed their target and brought their pressure to Chief Bello of the Dark Shadow Clan. Shi Yan would never underestimate the power of a crowd again. Now he believed that the power of one thousand warriors wisely striking at the same time could kill even Incipient G.o.d Realm experts! Incipient G.o.d Realm experts weren't absolutely invincible. Although they could kill the lower-realm warriors in just a blink of an eye, when the number of the low-realm warriors could reach a terrifying figure, they could unite to act at the same time. Then, they would give a terrible headache to Incipient G.o.d Realm experts. Bello was so worried as if he had a flame burning his heart. Gu Te and Bath's wild attacks had distracted him terribly. At this moment, more than one thousand warriors were striking him and pushing him to the corner. The aura of the Departed Spirit Jellyfish was weakened gradually. Seeing the jellyfish be about to refine by the scorching flame of the Origin, he had become more agitated as he didn't know what to explain to the Ascot family. He continued to create the s.p.a.ce pa.s.sage as he wanted to escape this area. However, he needed to wholly concentrate his mind in order to tear the s.p.a.ce in the s.p.a.ce pa.s.sage to bring the Departed Spirit Jellyfish away. At this moment, Gu Te and Bath didn't give him time to breathe. And Xia Xin Yan had commanded more than one thousand warriors to bombard him. It was impossible for him to do that. 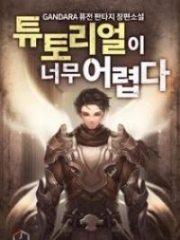 Warriors of Potion and Tool Pavilion, Fighting League, Monster Clan and Demon Clan had been suffocating the Incipient G.o.d Realm experts right from the beginning. However, seeing the two Incipient G.o.d Realm expert draining their energy rapidly under their bombarding, all looked happy. They had more significant respect for the woman who had set up this plan. They were cheered up because of her wisdom and excellent performance. They could see that they were about to win this fight and at the same time, they were the primary factor that led to this victory. This made them secretly excited. They began to pour more energy. Their powers Upanishads, Ethereal Extent, powers, and the secret treasures that could enhance their attacks fell like a heavy shower. Their attacks were continuous and extremely precise. They crushed Bello's s.p.a.ce blades and sent sparks everywhere. Everybody was happy as they thought that it was about to over. However, when the two Dark Shadow experts couldn't stand it anymore, something unexpected happened. b.u.t.terfly battleships emerged from the s.p.a.ce pa.s.sage where streamers weaved. As soon as several hundred battleships appeared, countless distinctive b.u.t.terfly war chariots of the Dark Shadow Clan roared and roamed over like a ma.s.sive flutter of b.u.t.terflies. Xia Xin Yan changed her face as she decided quickly. "Rush in and kill them!" The war chariots of Windstorm War Department formed a sharp formation. Her figure flashed as she went to the front line of their formation. Their attacking formation was like a sharp, rigid saber thrusting into the coming warriors of the Dark Shadow Clan. The Windstorm War Department of Fighting League was famous for their swift attacks. Their flying bird war chariots were as agile as electric beams and as sharp as the extreme swords. Warriors of the Fighting League always followed rules and discipline while fighting. As the battles had quenched them, they had learned from experience. Warriors with keen powers Upanishads like Metal, Ice, and Electric were in charge of the tip of their attacking formation. Warriors with Water, Wind, and Earth powers Upanishad stayed behind the formation to create layers of barriers to protect the people in the front line. Both the attackers and defenders had their clear and distinctive roles, which they had shown through their close-knitted cooperation. Shadow Ghostly Prison was the hot arena of fiercest battles in Agate Star Area. And the Fighting League was the most outstanding force of this area. They knew all the strategies and tactics. They were indeed the best elite force in Agate Star Area. There were several hundred warriors remaining in the Windstorm War Department. However, when they formed a formation, they were indeed a whole unit. People couldn't find any gap to attack this formation. Warriors of the Dark Shadow Clan roamed like a swarm of bees whose hive was broken. They expanded like when people unfolded a fabric sheet. 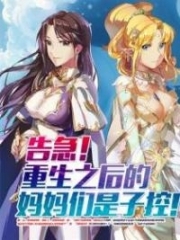 However, Xia Xin Yan's troop had torn a corner of them, piercing directly into the center where the experts of Dark Shadow Clan were gathering. Shi Yan watched the sharp formation of the Windstorm War Department and he had only one thought in his mind at this moment: they were able to break even the hardest defense! That elegant yet gorgeous woman was the soul of that formation. She was like the tip of the sword when she used her talents. Fu Wei hissed. Her face chilled when she urged the warriors of Potion and Tool Pavilion to join the battle. Warriors of the Monster Clan and Demon Clan started to take action. They moved like three furious flood currents swarming over the members of the Dark Shadow Clan. The fierce battle between thousands of warriors from different clans began. Shi Yan still looked cold. He still hovered while his eyes raked through the mob of the Dark Shadow Clan, Fighting League, Potion and Tool Pavilion, Monster Clan, and Demon Clan who were killing each other. He could see that the individual fighting competence of the Monster, Demon warriors was much stronger than the warriors of Windstorm War Department. If they fought one-on-one, a Monster, Demon warrior could defeat a Windstorm warrior. However, in guild combat like this, Shi Yan figured out that the Monster and Demon Clans weren't so good. The cooperation between them was poor and they struggled. No need to mention Windstorm commanded by Xia Xin Yan, they couldn't even be compared to Potion and Tool Pavilion's warriors led by Fu Wei. This was war. It was not just a battle between some warriors. In this kind of fighting, the army with a commander that knew how to promote the power of the union was much stronger than a vanguard in vain. Shi Yan frowned. This was the first time he recognized how weak individuals were in this kind of battle with thousands of warriors unless a person's realm had reached a level so strong that he or she could risk their life with the enemy. He also recognized Xia Xin Yan's ability in controlling and promoting the power of her army. This ability was extraordinary and precious, indeed. God Of Slaughter Chapter 1060: Leona’S Spearhead! You're Read God Of Slaughter Chapter 1059: Battling online at NovelOnlineFull.com. You can use the follow function to bookmark your favorite novel ( Only for registered users ). If you find any errors ( can't read,broken links, can't load photos, etc.. ), Please let us know so we can fix it as soon as possible. And when you start a conversation or debate about a certain topic with other people, please do not offend them just because you don't like their opinions. You're reading God Of Slaughter. This manga has been translated by Updating. Author(s): Ni Cang Tian,逆蒼天. Already has 1206 views. Current Time is 20-Apr-2019 08:19:36 AM.